After what seems a year of saying we should go to 401 for dinner, we finally find ourselves here. As it happens the menu structure has changed - the menu du jour is now a one option deal - it changes daily but there's only one entree, main and dessert. 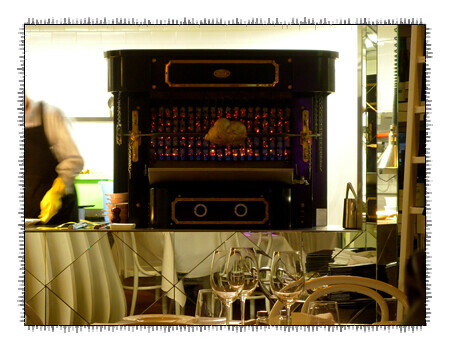 There has though, been an expansion of the a la carte menu to compensate. One thing that has remained is the rotisserie chicken and it's now available in the restaurant rather than just take-away. Available as a quarter, half and whole, we decide that there's no time like the present, and order a whole chicken. 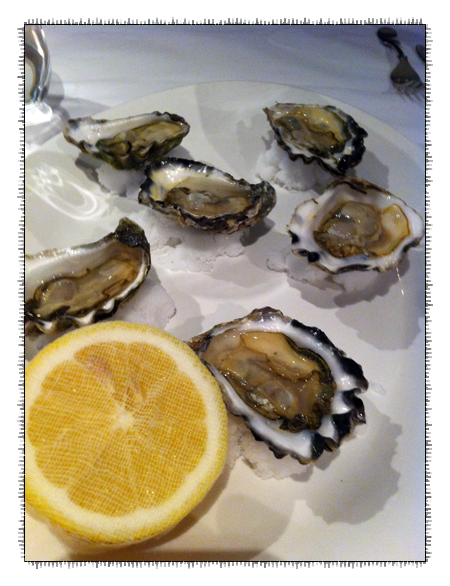 Claire de Lune Oysters - served natural, these creamy oysters are one of our favourties. 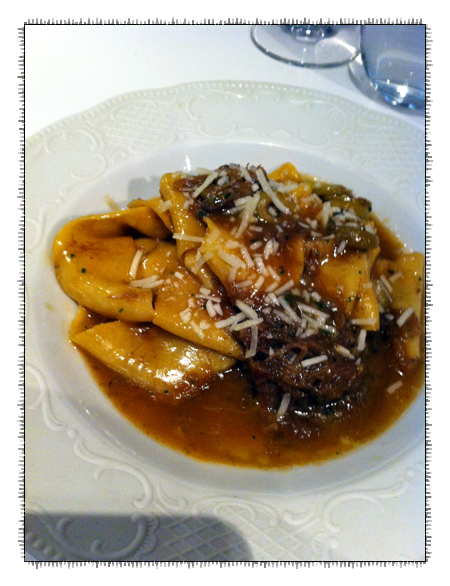 Pappardelle with braised goat, green olives and pecorino - the pasta had that slippery silkiness that you find with only the best pasta. I'm usually a bit cautious about olives in pasta as they can overwhelm the dish but here I was most pleased to find they actually worked in harmony, providing a contrast to the rich braised goat. This ranked in Paalo's top 3 pasta dishes. Slow cooked hens egg, peas, watercress and broad beans - the list of ingredients call to me. 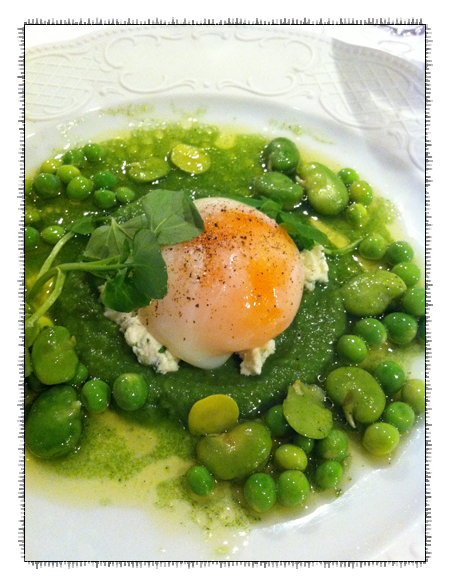 I cannot resist the combination of slow cooked egg, with its sticky creamy yolk and those sweet peas and broad beans. 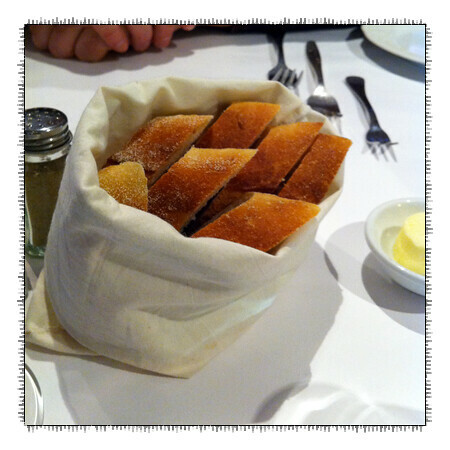 You need plenty of bread for this dish. There's our chicken happily spinning away - underneath at the base of the rotisserie, the vegetables are cooking in goose fat. the glorious rotisserie Chicken complete with herb stuffing. It was then carved at the table by 401's head chef - now Paalo won't have any excuses come christmas. The chicken is also served with a selection of roasted vegetables (yes, those vegetables cooking in goose fat) and celeriac remoulade. We would also recommend ordering the iceberg salad - it is just the best match for this dish. 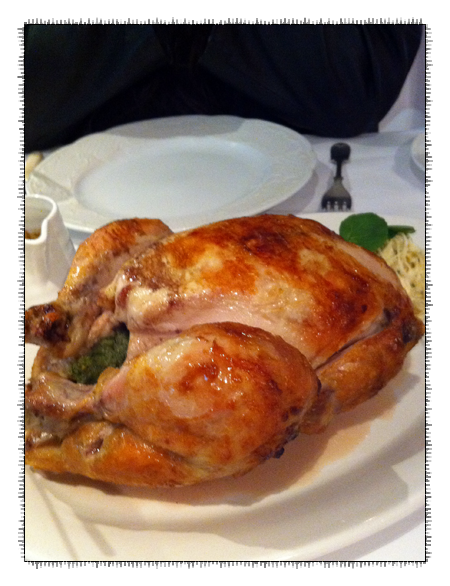 We did go overboard by ordering a whole chicken - there's easily enough for 4 but it is so unbelievable good that we couldn't help ourselves. In fact we sat in silence as we took the first bite...soon followed by the second and third bites. It was there that I finally broke the silence and declared that I just won't be able to make roast chicken at home anymore as this one is just too good. This came as a relief to Paalo as he was wondering how he was going to tell me that this chicken is better than mine. In all seriousness, for $35 for a take away version or $60 to have in the restaurant, it is cheaper to have this than to make your own if you factor in the cost of your time. 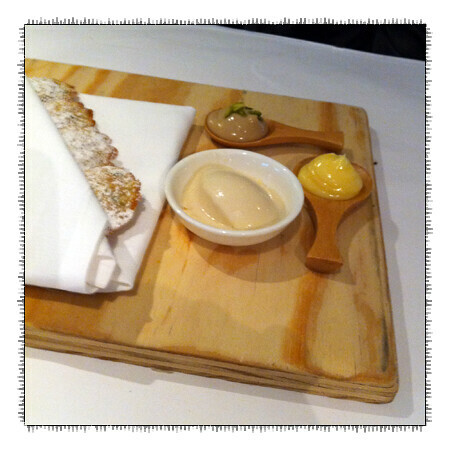 Pistachio Madeleines with Marsala curd, lemon curd and zabaglione ice cream. The madeleines were divine - served warmed from the oven. 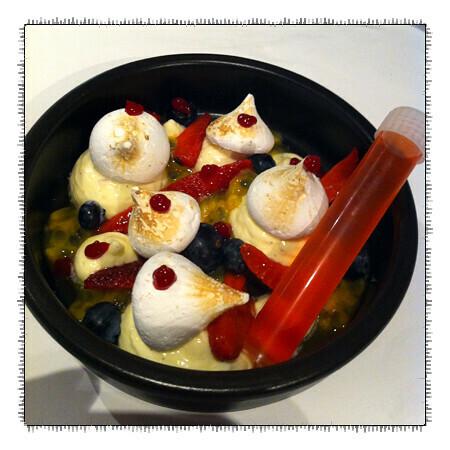 Pavlova Cheesecake - you just knew there was going to be some sort of twist to the dish. A deconstructed version that's even more delicious than it looks.